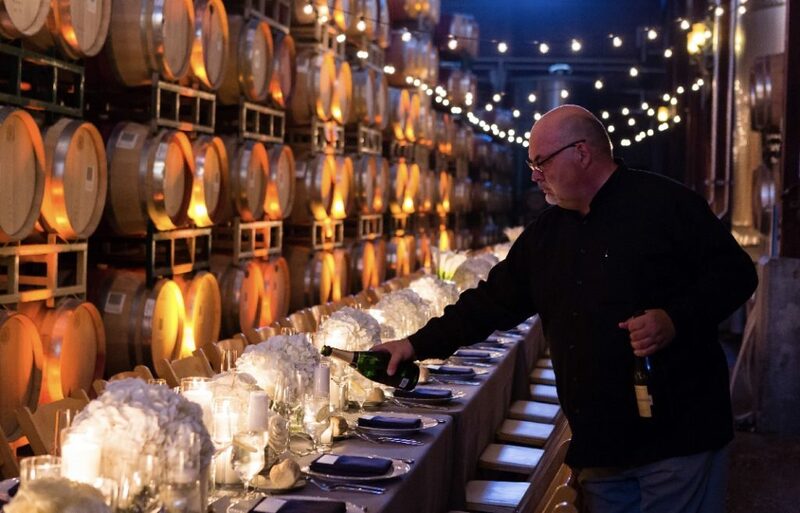 People come from all over the world to Santa Barbara’s wine country, the Santa Ynez Valley to try incredible wines and take in the views and varietals our region has to offer. 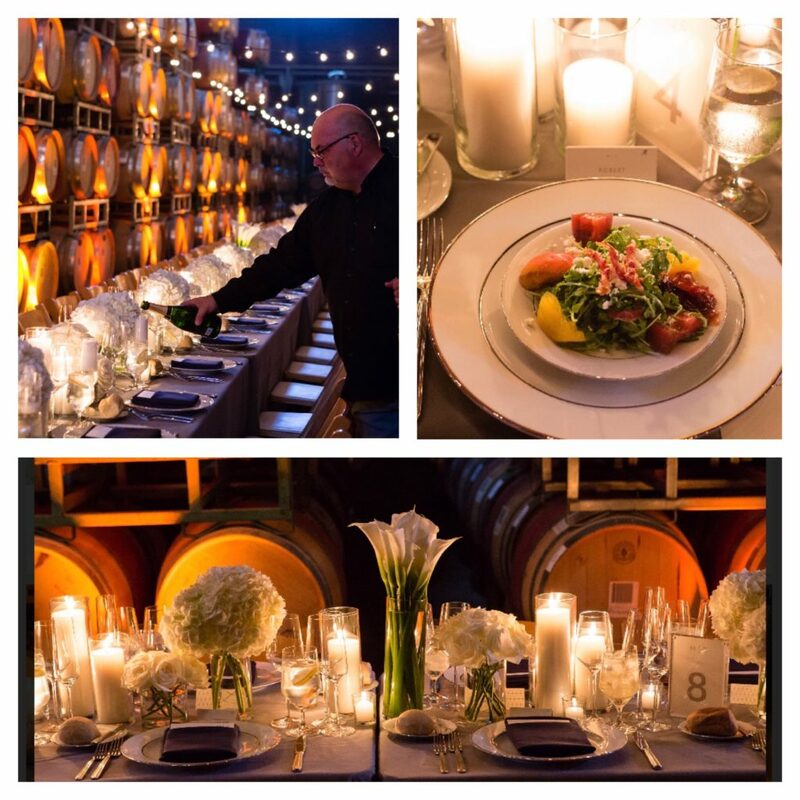 Firestone Winery, one of the area’s premiere wineries and vineyard wedding locations offers wedding couples and their guests a full winery wedding experience. 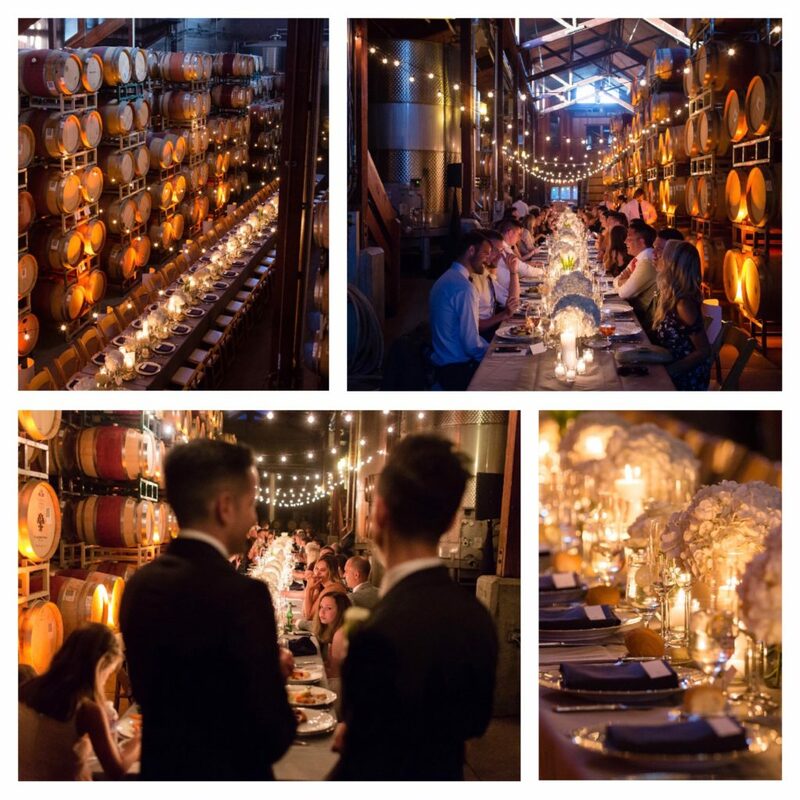 In addition to getting married overlooking the sprawling vines, guests can enjoy a sumptuous wedding feast in the iconic Firestone Barrel Room, followed by dancing under the stars outdoors in a courtyard reminiscent of something you would see at a private estate in Tuscany or Provence. 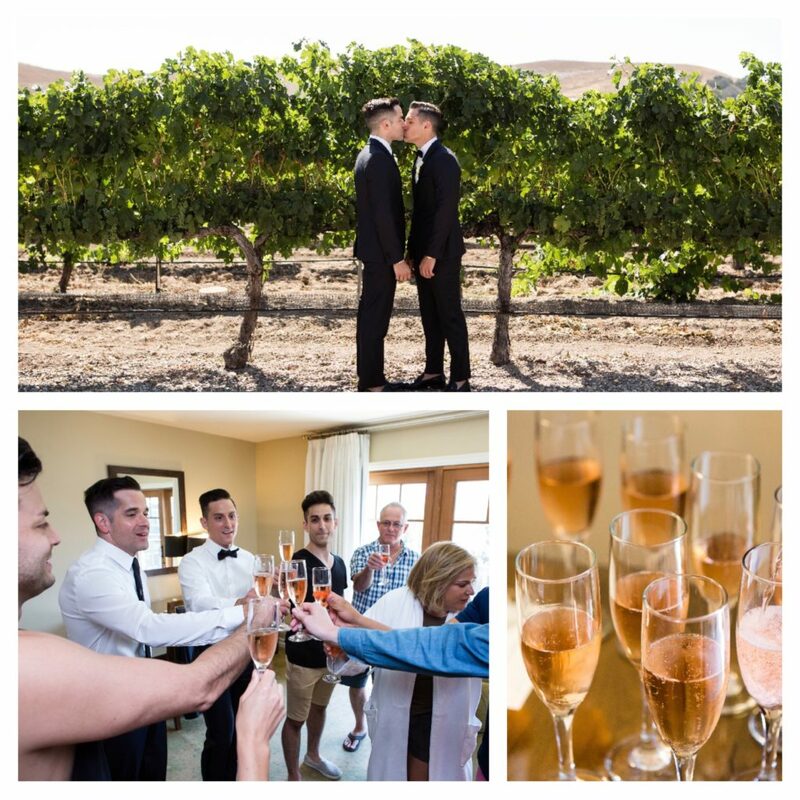 Chris and Michael chose to take advantage of every single gorgeous space at Firestone Winery, and coupled with a magnificent dinner menu fit for royalty (check out the whole menu below – but in particular the dessert!) 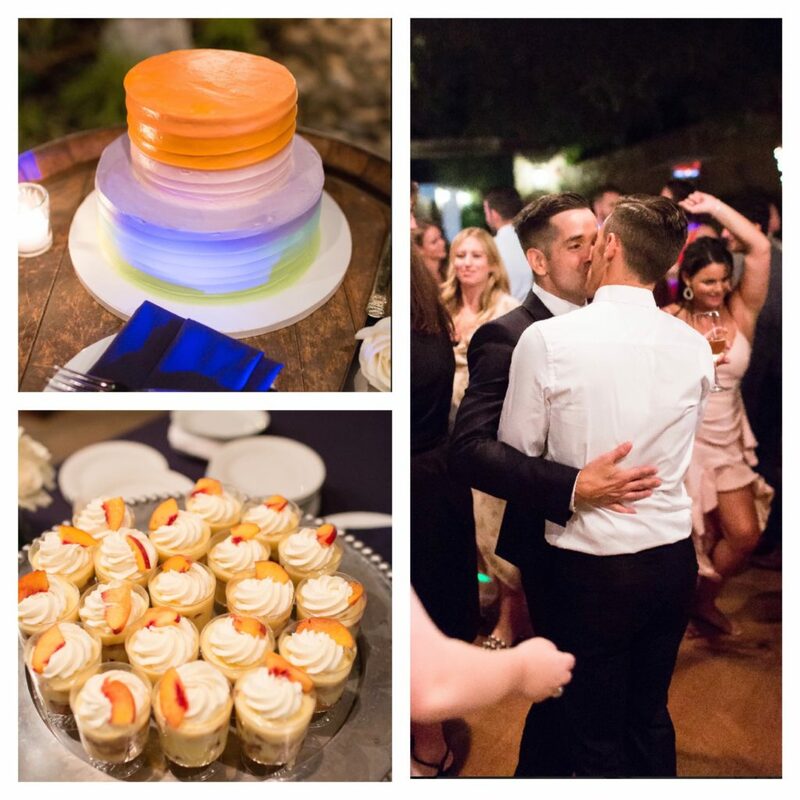 , this wedding was lavishly appointed from start to finish. We were delighted to be a part of this wedding celebration and wish Chris and Michael congratulations on their new married journey together!